The Sharp R-23AM extra heavy duty microwave oven is housed in a sturdy stainless steel casing and is a popular choice of catering microwave for bakeries, coffee shops, event companies and takeaways. It has four power levels with twin stirrer fans and dial control operation. It has a powerful 1900W output and 20 litre capacity is ideal for cooking or reheating pre-prepared meals. 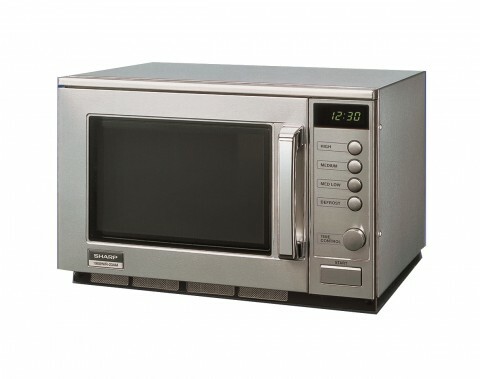 This microwave has a unique express defrost capability for preparing frozen ingredients or menus. The design allows for two units to be stacked on top of one another to increase capacity if demand increases.